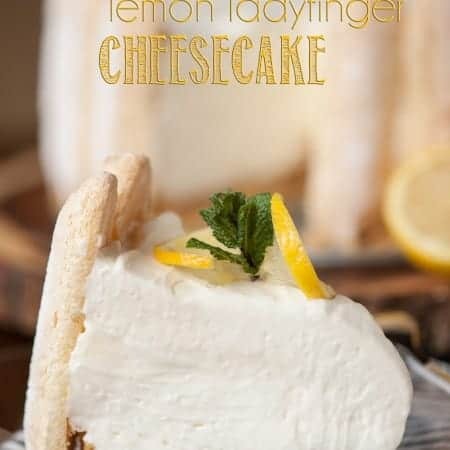 Perfect for any celebration, this perfectly sweet NO BAKE LEMON LADYFINGER CHEESECAKE is a wonderful citrus dessert that everyone will love! When I sat down to write this post, I struggled to find a good title for the recipe. Did I want to call it something that would explain what it was? (i.e. 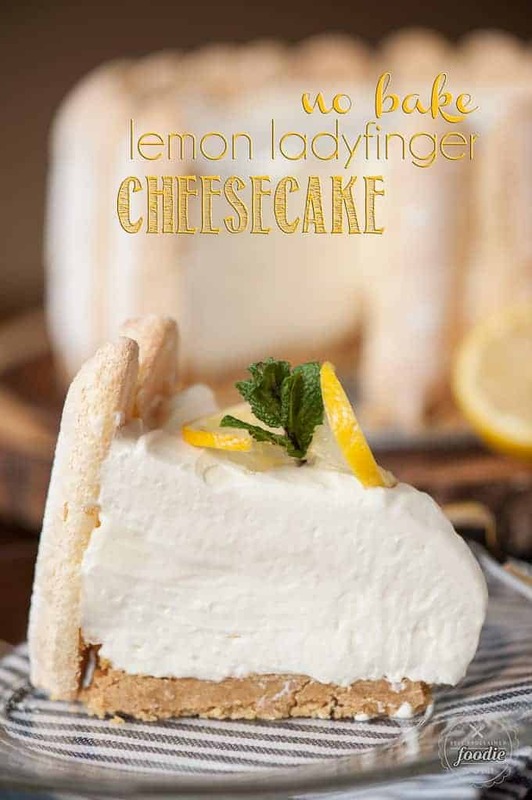 No Bake Lemon Ladyfinger Cheesecake) Or did I want to call it what my brain was thinking? (i.e. 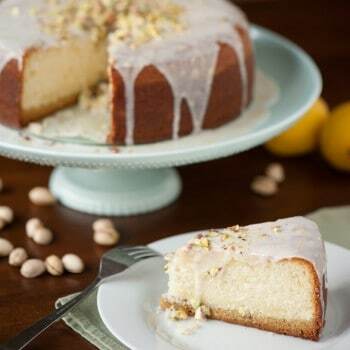 Oh My God There Must Be 1000 Calories in Each Slice But It Is Soooo Worth It Cake) I opted for the shorter title, but am wondering if I should have gone with the longer one now. This cake was a total experiment. I had no idea if it would actually turn out. 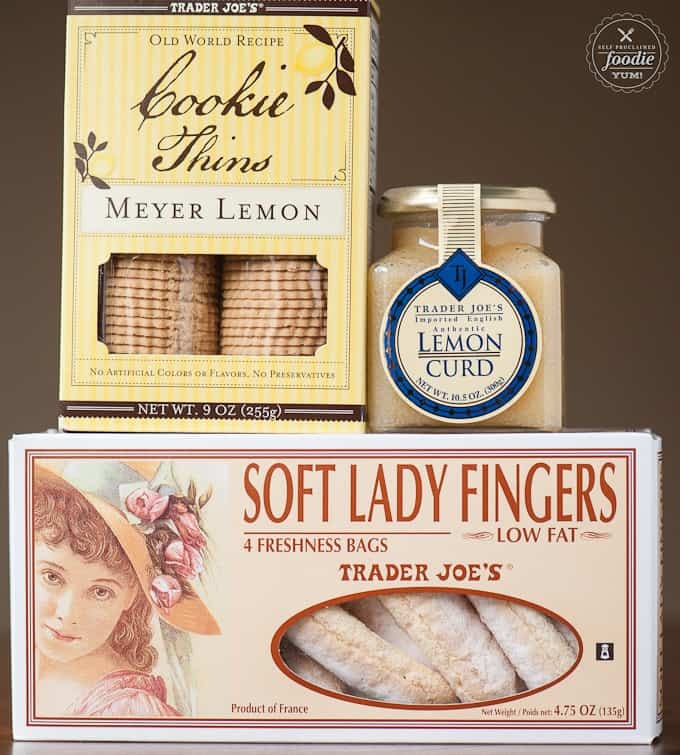 I was worried that the lady fingers wouldn’t stand upright. I was worried that the filling wouldn’t set. I was worried that I would eat the lemon cookie crust mixed with melted butter before I had a chance to get it in the pan. This recipe had me worried. Challenge #1 was getting those darn lady fingers to stand up right. I’m not gonna lie – it wasn’t easy. 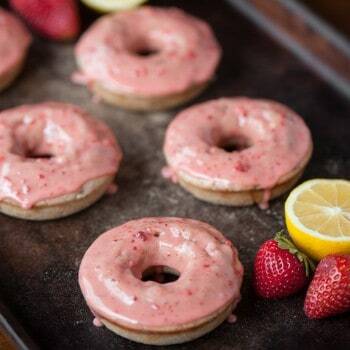 I had my daughter help me hold them up and then used the crumb base to keep them in place. Mission accomplished. Next challenge: getting the heavy whipping cream to the perfect consistency. 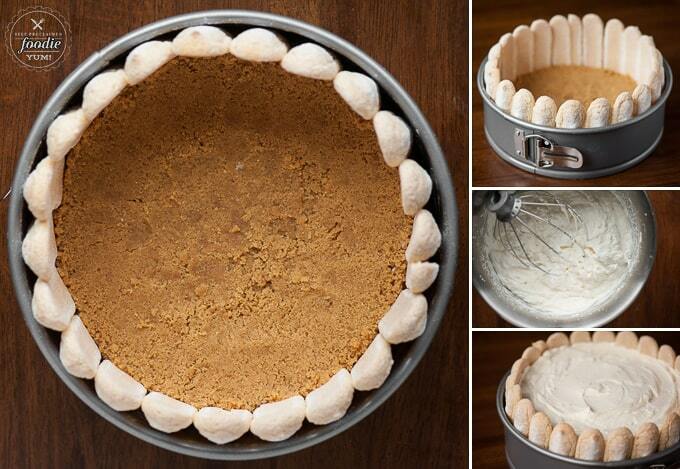 To soft and the filling wouldn’t set. To firm and you pass the process of making whipped cream and go straight on to making butter. I nailed it. My advice – just stop when you think its done and you can always take it a bit further if needed. Challenge #3 – was it the right amount of filling? By some stroke of luck, it was. The lady fingers are taller than the filling portion, but there’s only so much heavy cream, cream cheese, sugar and lemon curd a person can eat in a slice, right? I thought it was the perfect amount. I was just tickled with the final product. As a food blogger, there’s nothing worse that making a dessert like this only to try and pull a slice out and have it result and a wet mess. I always take plenty of photos of the whole cake *just in case* it doesn’t set properly and the photos have to stop there (ahem, key lime pie), but I’m very happy to say that this was perfect. Now, with the sheer amount of sugar and fat this cake has, one might question if it tastes good. I’m here to tell you: Yes, yes it does. 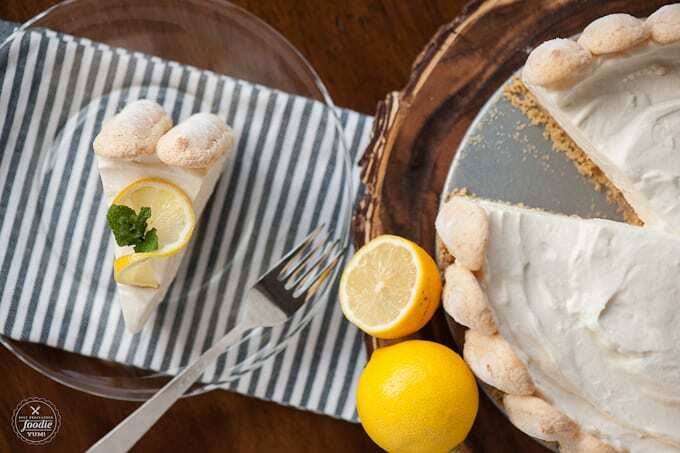 Despite the calories, this no bake cheesecake as the perfect amount of lemon to make it slightly tart without being sour. It has just the right amount of sugar to sweeten the cream. And each bite simply melts in your mouth. In other words, its really damn good. 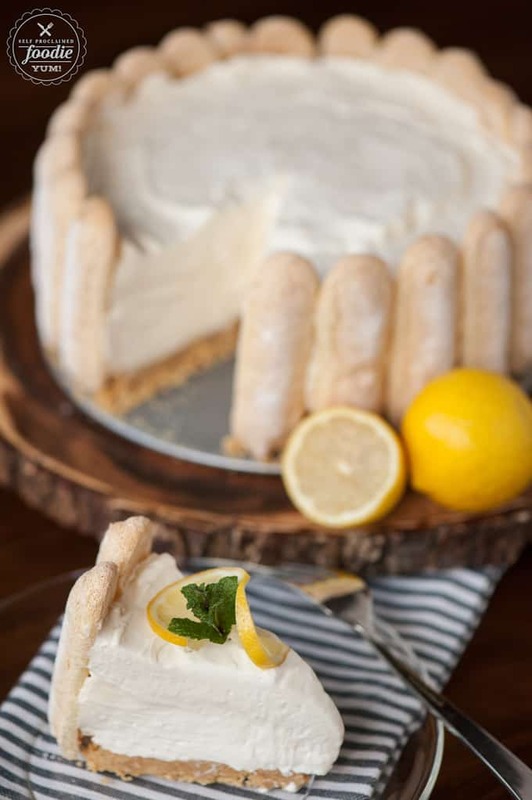 Perfect for a any celebration, this perfectly sweet No Bake Lemon Ladyfinger Cheesecake is a wonderful citrus dessert that everyone will love. Using a food processor or a rolling pin with a resealable plastic freezer bag, crush cookies until they are a fine crumb. Combine with melted butter and mix to combine. Spread across base of springform pan, pressing down evenly but leaving a gap around the edges for your lady fingers. 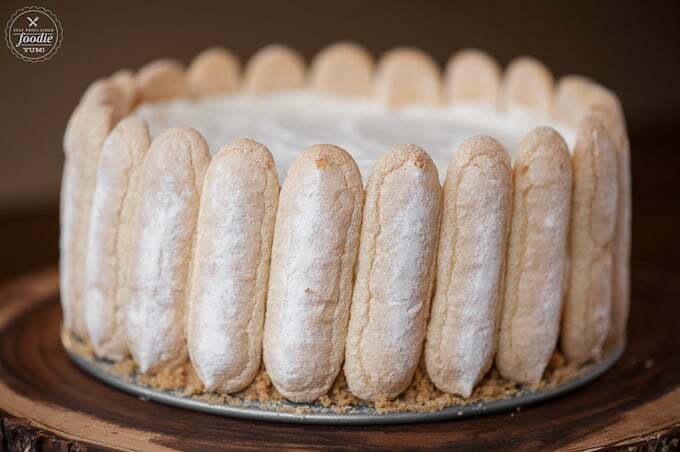 Arrange lady fingers vertically around inside wall of springform pan, with the top of the lady fingers facing out. You may need an extra set of hands. Press crumbs up against base of lady fingers to keep them in place. Using a stand mixer with the whisk attachment, beat heavy cream on medium high speed until stiff peaks form. Be careful - there is a fine line between soft peaks and going too far and making butter. Set aside. Using stand mixer with paddle attachment, beat cream cheese on medium speed until light and fluffy, 3-4 minutes. Add powdered sugar, mix slowly to combine, then beat for another couple of minutes. Add lemon curd and mix thoroughly. Fold the fluffy whipped cream into the cream cheese mixture, one large scoop at a time, until well blended. Add to the springform pan and spread evenly. Cover with plastic wrap and refrigerate or freeze at least one hour before slicing.